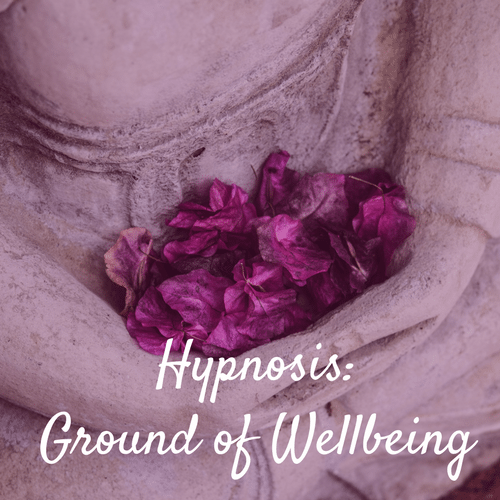 20-minute hypnosis/guided meditation recording includes tuned chimes and soft ocean waves in the background to help you relax, release tension and sleep deeply. 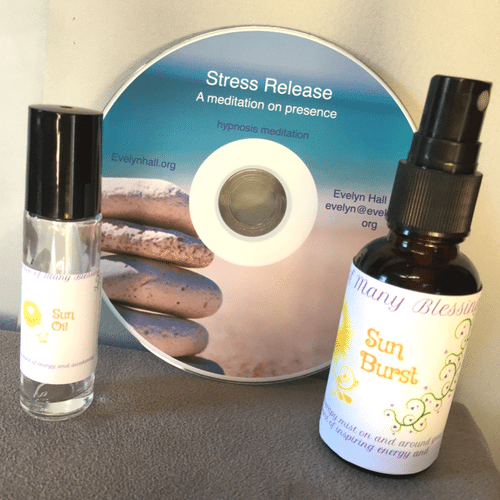 Download only or CD available. Listening with ear buds or headphones offers the best sound, but listening on your computer or a CD player also works well. For best results, listen daily for 7-21 days, then as needed. It is not recommended to listen while driving. 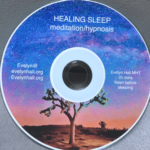 It is best to take a 20 min break, sit comfortably or lie down and immerse yourself in the experience while learning how to quiet your mind and relax your body and go into a deep healing sleep. 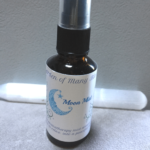 Moon Mist is hand-crafted using pure essential oils and flower essences abundant with properties that aid the body in achieving a peaceful slumber and internal rest and relaxation. Mist yourself, your pillow, and room before you sleep. Apply oil to neck, wrists or pulse points. Take 3 deep breaths. 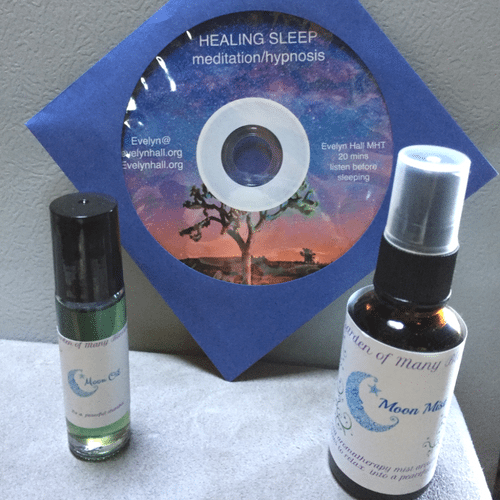 Cedarwood aids in the production of melatonin which induces a restorative sleep. 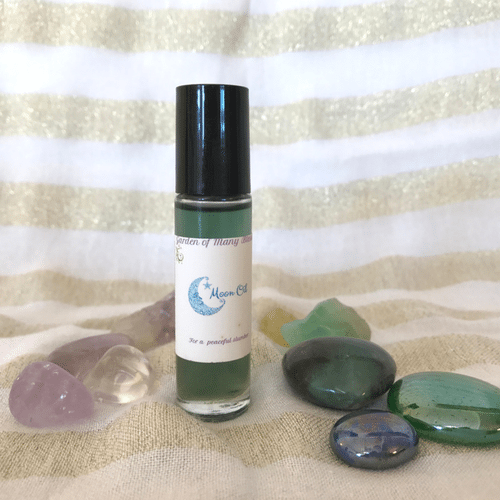 Clary Sage stills the mind’s chatter and relaxes muscles. Roman Chamomile helps combat insomnia. German Chamomile soothes and calms the body and mind. Lavender cleanses and soothes the spirit, creates calm and balance. White Chestnut creates mental stability and stops worrying thoughts. 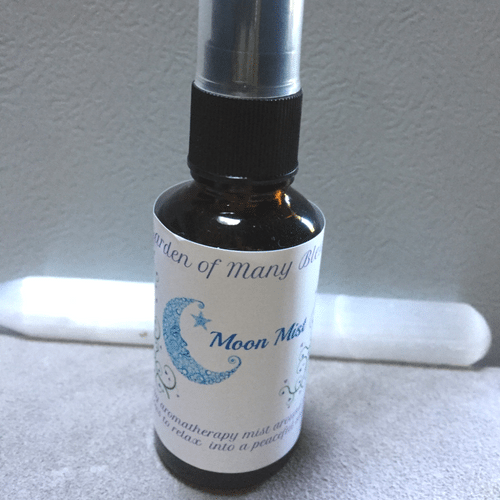 Saint John’s Wort helps to cure anxiety and trouble sleeping.